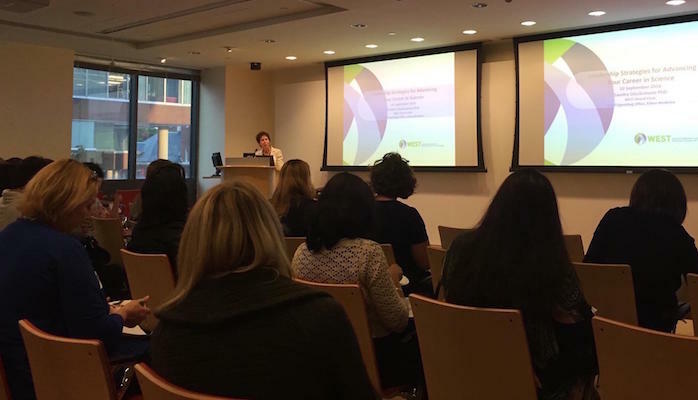 Trish Hurter, PhD, executive sponsor of IWILL and an instrumental figure in launching the ERN, moderated the panel. The table below has more information about Trish and the panel participants. 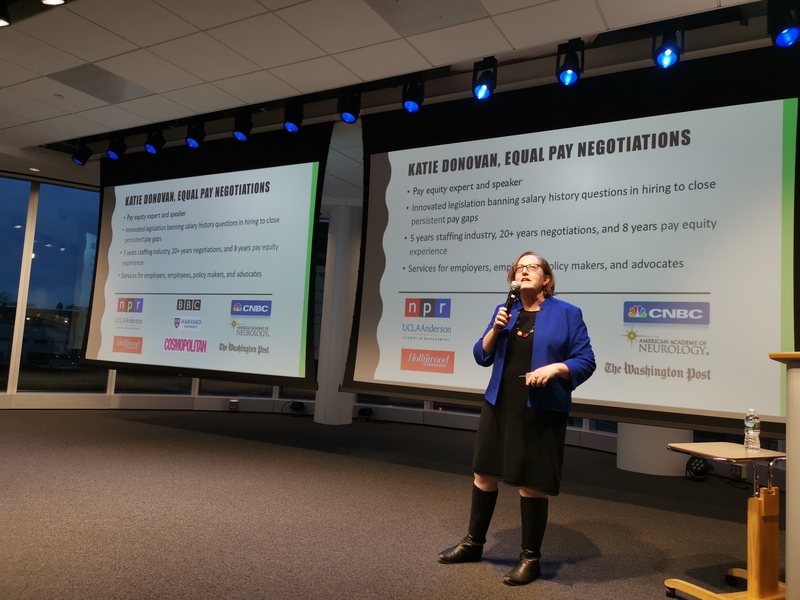 Pay equity expert Katie Donovan gave a mind-blowing seminar on equal pay negotiations for WEST community on March 13th. 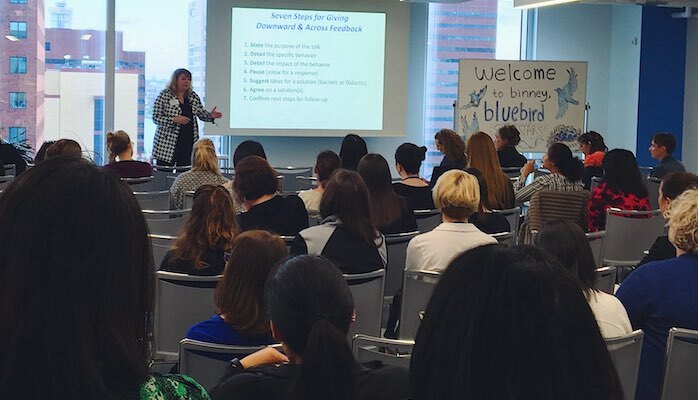 Katie provided a few paradigm-shifting ideas which will change the way we communicate about salary negotiation. We, as women often don’t realize that we are being underpaid. And we tend to think that pay is not negotiable and that organizations will pay us fairly. However, the statistics from US Bureau of Labor clearly demonstrate the issue of unequal pay between men and women [Chart 3 below]. Since 2004, the women’s-to-men’s earnings ratio has remained in the 80 to 83 percent range [data]. That’s the awakening mindset Katie challenged every woman to bear in mind. 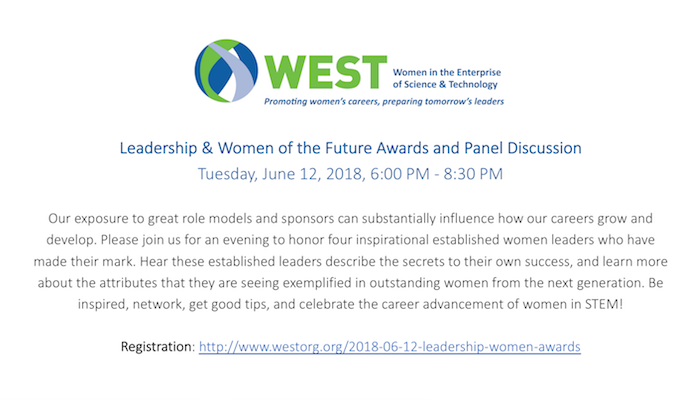 Join WESTorg for this flagship event to learn from seasoned senior leaders as they tell us about their inspiring journeys to success in the fast-paced world of science and technology. The topic will be our annual theme, "Own It! Empowering Your Career & Your Life." Hear advice they have for owning your career and taking charge of your future by exploiting your strengths with confidence and fine-tuning your skills to ask for what you want and need. 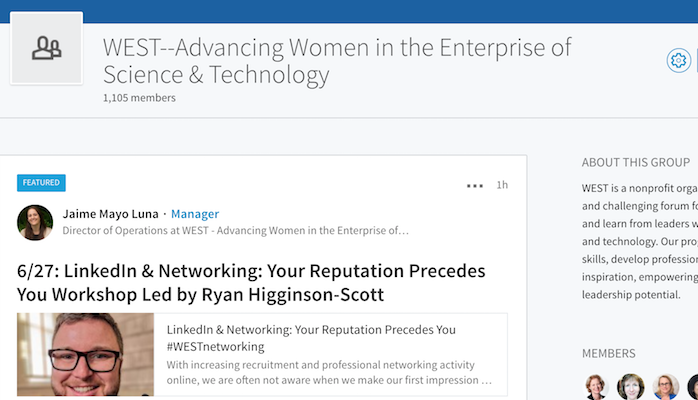 Network with movers and shakers in the science and technology community and support career advancement of the next generation of women leaders in STEM! 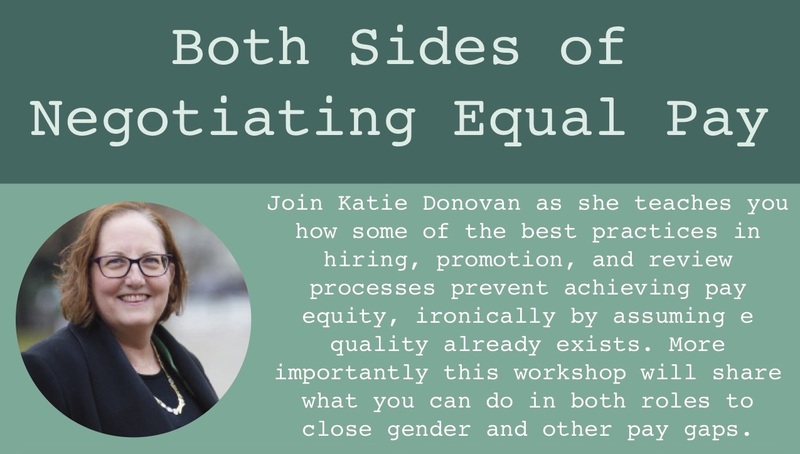 Join Katie Donovan to learn pragmatic approaches to achieving pay equity, from both sides of the compensation negotiation process. On July 1, 2018, the Act to Establish Pay Equity, amending G.L. c.149, §105A (MA Pay Equity Law) went into effect in Massachusetts. For women and other systematically underpaid groups, the MA Pay Equity Law is the biggest thing since the Lilly Ledbetter Fair Pay Act sliced some equality bread back in 2009. The MA Pay Equity Law forbids employers from asking about salary history. The law enables women and other minorities to escape the cycle of underpayment resulting from systemic and unconscious bias. The law also means that the lower salary you accepted for that dream job at a startup that didn't make it can't be used to lowball you down road. 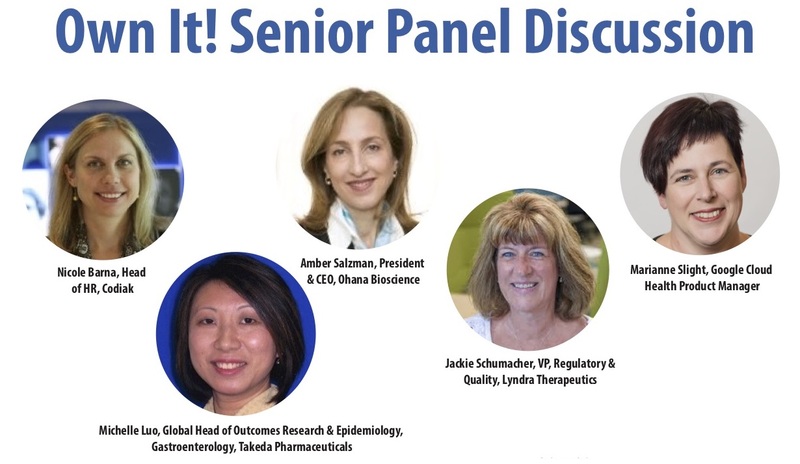 Sandra Glucksmann, President & CEO at Cedilla Therapeutics, will share stories of her career challenges and successes. She will discuss how to best apply your scientific and analytical abilities to develop influence and negotiation skills. Sandra will share her learning experiences as she transitioned from bench scientist to manager, and from manager to executive in both small and large company settings. Once upon a time, there was a social network. The social network was rich with relationships. People were connected to their family, friends, and other people in their village. But technology didn’t stand still. Eventually they could connect to distant relationships by mail, then Pony Express, then telegraph, then the wireless, then the telephone, and then by email. Life was good. You could reach out to almost everyone you needed to. Then, in late 2002 a colleague at work, Yvonne, sent an odd-looking invitation to me through this thing called LinkedIn. Coaching circles adapt the principles and methods of individual coaching and apply them to small, intentional groups. 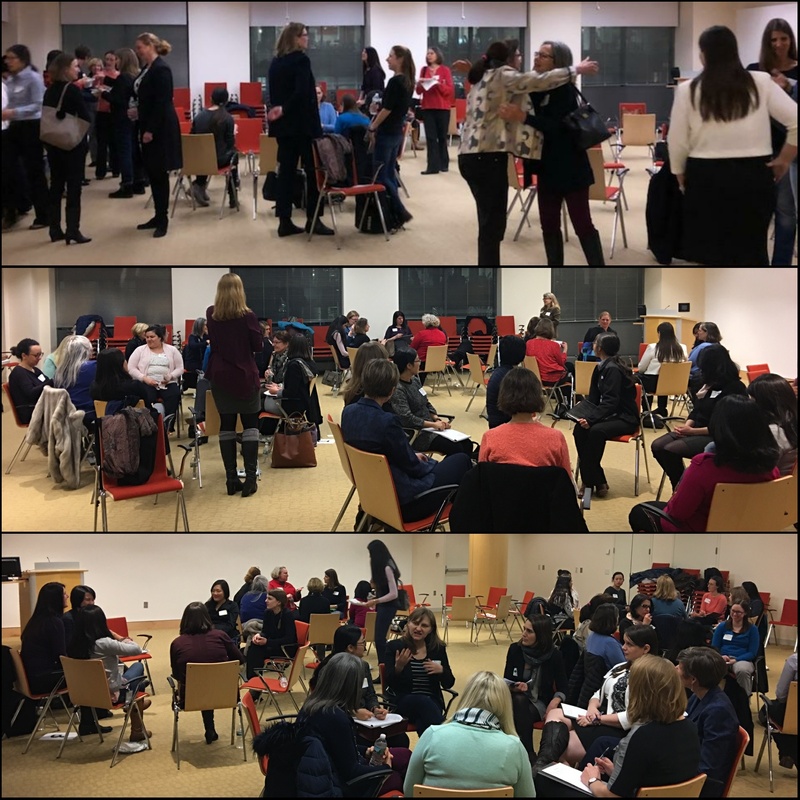 They set the stage for peer to peer coaching facilitated by trained and qualified professional coaches offering women a supportive and motivating environment to connect through meaningful conversations. Participants develop a set of peer coaching skills in addition to benefiting from professional coaching, and are often preferred by people who learn well in small groups. Join us to establish new relationships, enhance leadership skills and talents, and develop in an area that is a current challenge. We will do three 30 minute sessions. Some of the table topics will be preset and some will be based on ideas submitted when people register to attend. The preset topics will include the following. Every year WEST is proud to organize our special award evening. This will be our 9th annual event. Four women leaders in STEM who have been nominated by their peers as successful, generous role models were selected as awardees. They in turn have chosen four “up and comers” who they believe are outstanding future leaders. 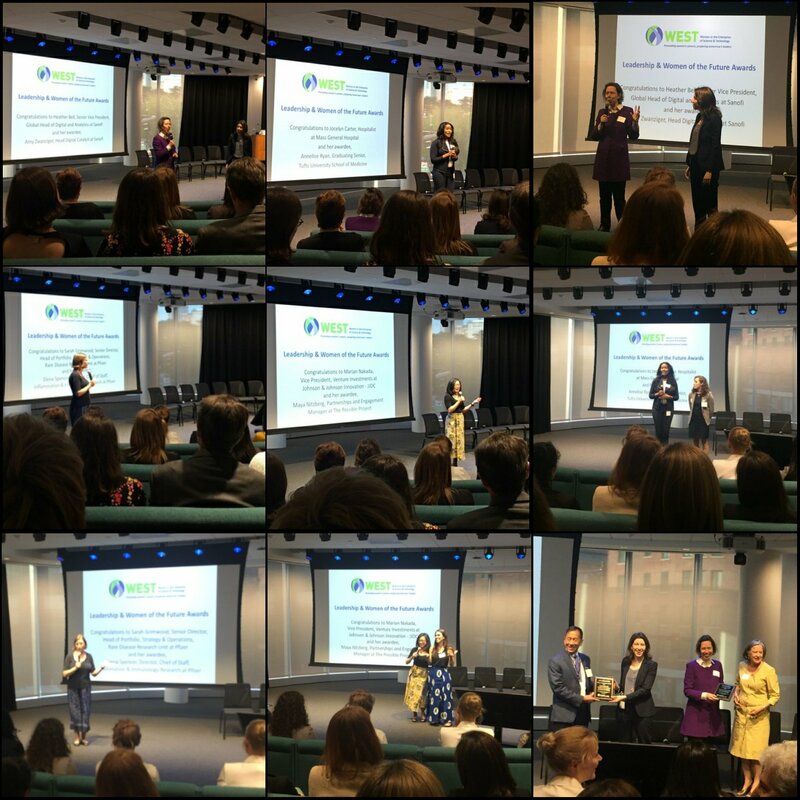 We all have much to learn from this impressive group as they tell us their success stories and share their tips for the advancement of women in STEM whatever the stage of your career. Come one, come all! WEST invites you to join us for our 2018 Summer Series! Every Wednesday night in June, WEST offers the opportunity to network with other like-minded individuals to build your career toolbox by implementing the skills that instill confidence in your ability to advance your own opportunity for success. Our Career Possibilities and Career Management events provide opportunities for personalized feedback including an individual assessment to self-reflect and build upon your strengths, motivations and individual interests. The series is $75 for members. Not a member yet? For $175, you can get the series and an annual WEST membership. Can’t make it to the whole series? You can register for just one or two of the events. Isn't it time to invest in yourself so that you can maximize your professional self? We hope you will join us for a month of empowerment and mentorship!